If you’re like me and enjoyed the outrageous combat, outlandish villains and wide-range of mini games available in Yakuza games like the recent Yakuza 6, Yakuza Kiwami 2’s version of these things in its demo makes it look like an intriguing experience. With a new city to explore, Kiwami 2 features a lot of what’s made more recent games in the series feel good mechanically, along with a stylish visual flare that make it easy to forget that Yakuza 2 was originally a PS2 game. With a few new mechanics that save it from feeling too similar to the last Yakuza game and a wealth of new activities in this demo alone that keep the charm of the Yakuza series while adding plenty of new things to play with, Yakuza Kiwami 2 seems to be a satisfying new take on an older game in its series that is easy to pick up for those who’ve played the newer games in the series. Yakuza Kiwami 2’s demo begins in the second chapter of its story, scratching the surface of what will no doubt be a bigger narrative. The demo begins with series protagonist Kiryu on his way to Osaka with Dojima, and eventually introduces one of the story’s antagonists Ryuji Goda, the rough son of the Chairman of the Omi Alliance. 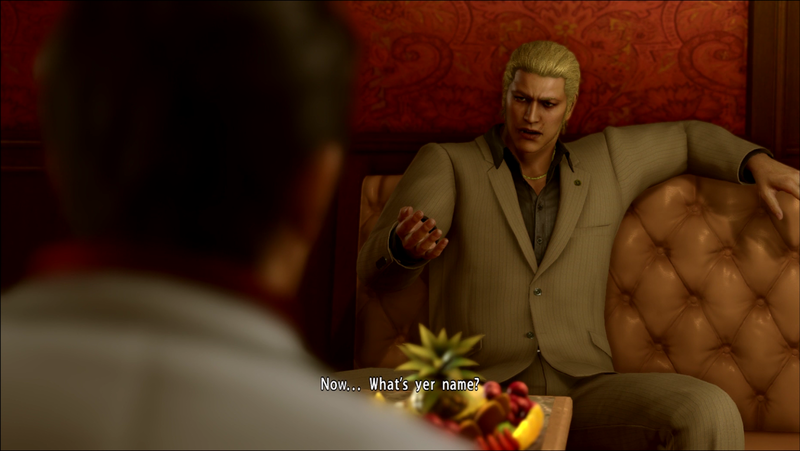 This meeting serves as an introduction to both Kiwami 2’s story and what looks to be an important antagonist - Ryuji is shown to have plenty of power how he puts fear into the people around him and being known as the Dragon of Kansai, there’s a clear feeling of rivalry between him and Kiryu. This rivalry is only just touched on as the story portion of this demo is quite small: if you play just its story you’re barely looking at half an hour of the story campaign including battles and running to places, compared to Yakuza 6’s one that showed about an hour. I ended up appreciating the shortness of the demo’s story portions though; not only did it give more time for gameplay, it also avoided spoiling much from its previous games that I haven’t played yet, so if you’re looking for a taste of Kiwami 2 to see if you want to continue with the series, you can play its demo without fear of significant spoilers. The small bit shown was enough to interest me with its plot and looked to be the same quality of story that I came to expect from the last game, so although I still need to play its previous games to get a full understanding, it did make me intrigued about what would happen in this chapter next. Although Yakuza 2 is an older game, the Dragon engine makes it look and feel similar to its recent games, particularly in the combat that felt quite similar to what I played in Yakuza 6. 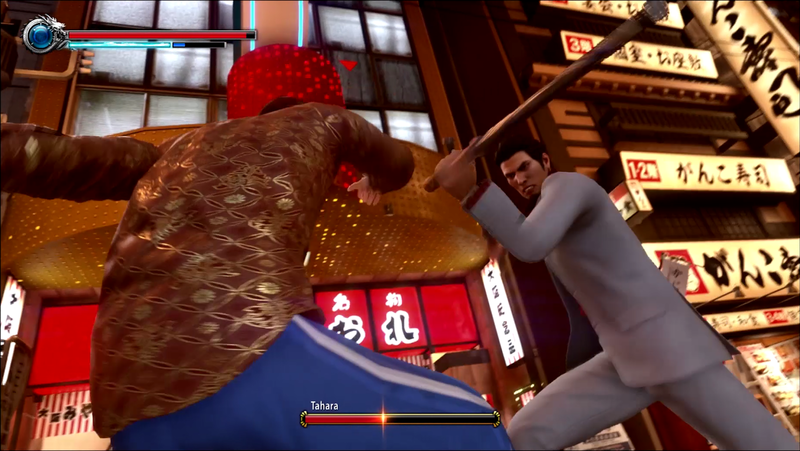 It features a battle system to very similar to what’s in 6 - in both random and story battles, it combines beating up enemies with things like button combos giving it a slight fighting game feel and stylish special Heat attacks depending on what kind of weapon Kiryu is carrying that make it feel flashier and more interesting to look at. Kiwami 2 adds another layer to its combat at least with Kiryu go beyond just picking up weapons around him and also being able to store and carry some of his own. Some are your typical weapons like swords and poles, but in flashy-Yakuza battle style there are crazy ones like tasers and even pliers that make for some pretty wild Heat attacks. With weapons being accessible using the D-pad, it seamlessly fits into what was already a good system and although it doesn’t seem to be an essential addition, it’s still nice to have something new to play with in battle if you’re coming from Yakuza 6. Where the battle system felt very familiar, a majority of the mini-games I tried in Kiwami 2’s demo were brand new to me. 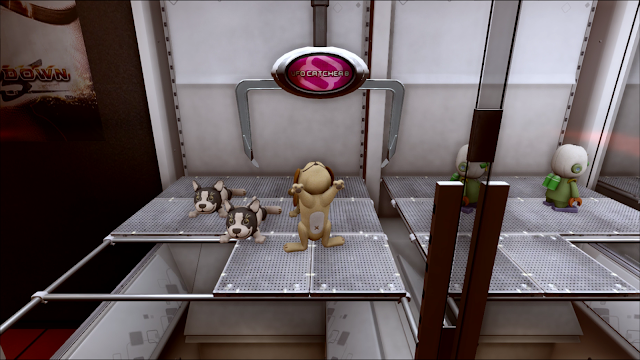 The demo shows a big handful of mini-games such as Crane games in its arcade, golf practices, card game, a karaoke rhythm game and more that all boasted different mechanics and systems that made each one have a layer of depth that makes taking time away from the story to check them out pretty worth it. I only played a little of each one I could find, but each seemed like big, full experiences that you could really sink a lot of time into trying to get good at them, taking my half hour story experience and making it a two hour one with plenty of variety while playing this demo. What’s even more amazing is that this was only a selection of what will most likely be available in the full version. This demo doesn’t feature the mini-games from Kamurocho which was packed full of things to do in Yakuza 6 and probably will be in Kiwami 2 as well, and with stuff like the Clan Creator and being able to manage your own club being other features said to be in Kiwami 2, along with side stories, restaurants and Goro Majima’s story that wasn’t shown in the demo, I’m sure the cities will be as full of a vast variety of things to do and check out in the full version. This preview of them definitely lived up to my expectations of it being an activity-filled world so far and with this just being the tip of the iceberg, I can’t wait to see what other experiences will be in the full game. My couple of hours with Yakuza Kiwami 2’s demo showed me enough to get me excited for when I eventually play it. It features a new kind of twisted, powerful villain that fit the theme of what I became intrigued by in Yakuza 6, and although it uses the same visuals and gameplay style as 6 as well, Kiwami 2’s big, activity-filled city showed plenty of new things to do that have me ready to explore this one. So far, Yakuza Kiwami 2 seems to take a lot of what makes its other more recent games good and convincingly turns Yakuza 2 into a modern feeling experience very reminiscent of them. If I didn’t want to check out more of the beginning of Kiryu’s story in Yakuza Zero and the first Kiwami game first, I would gladly be jumping into what looks to be a fun-filled city of stories and things to do like I enjoyed in 6 and as an interesting introduction to the second chapter in Kiryu’s story, I hope to check it out again someday. You can try Yakuza Kiwami 2's demo here and you can pre-order the full game on Amazon! Did you play Yakuza Kiwami 2's demo? Will you be picking up the full game?